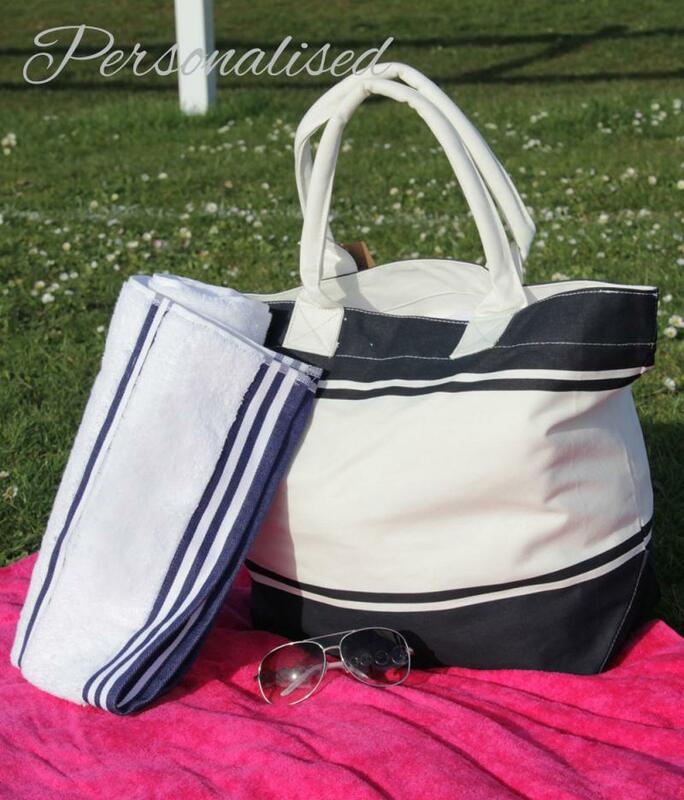 Look stylish at the beach or swimming pool with this striking navy bag and towel set. 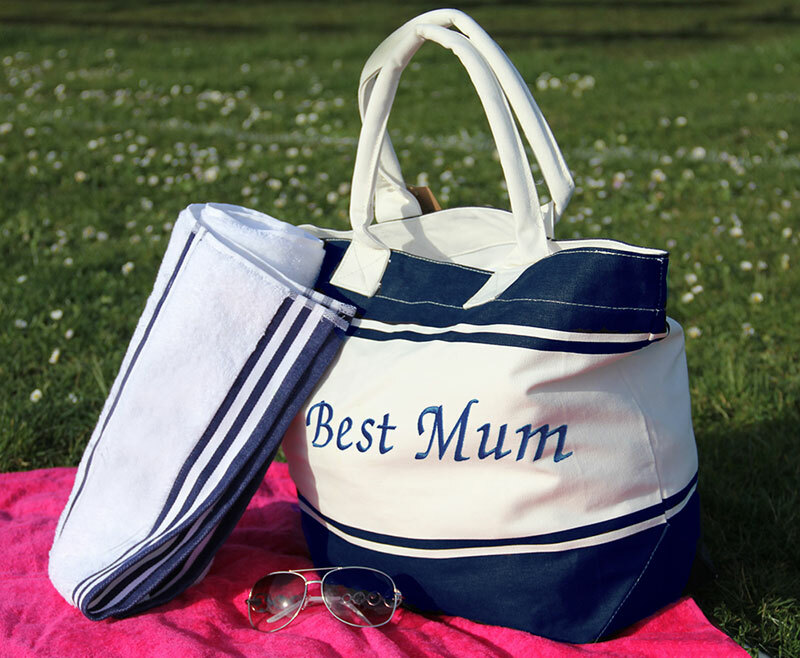 A perfect gift for Mum this Mother's Day. Show your love and appreciation with this unique and original idea. 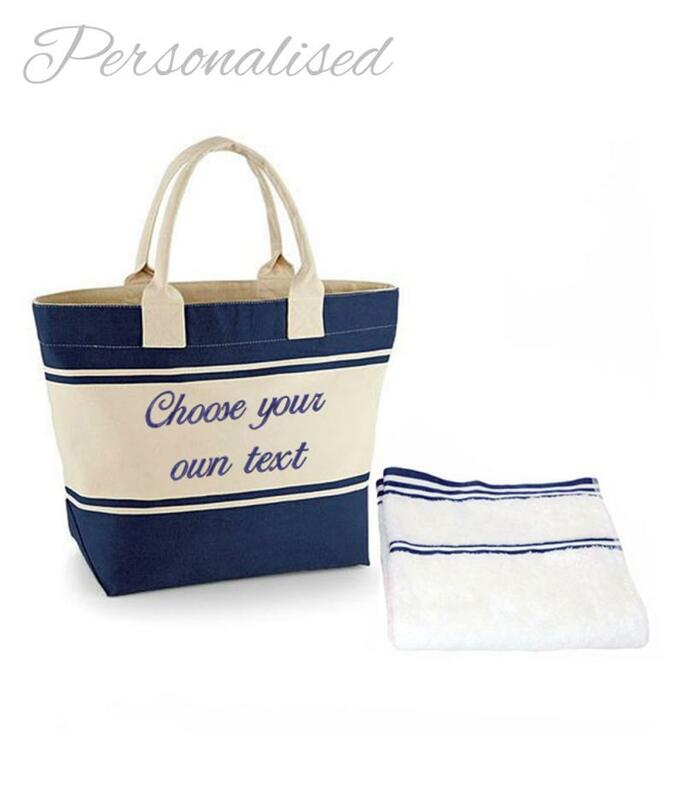 The way you write your specified text will be how it is embroidered, for example 'andrew' will be embroidered all in lower case, 'Andrew' will be in upper and lower case and 'ANDREW' will be embroidered in upper case only. Please note that unless we receive specific instruction from you, we will use our discretion to embroider the design how we think it will best look. We embroider all of our garments in house using the latest embroidery technology and the highest quality thread. Please allow 5 working days for your robe to be dispatched by courier. If you have a tighter deadline (last minute gift), send us an email and we will endeavour to meet it. Note: Courier delivery to UK Mainland only; Scottish Highlands, Northern Ireland and UK Islands will be sent with Royal Mail.